1. Combine ingredients in a 1-quart container with a tight-fitting lid. 2. Shake until sugar is dissolved. 3. Store in refrigerator until ready to make a single serving of soft serve ice cream with your favorite Add-ins. Yield: Makes 24 ounces, enough for 2-4 individual servings. 1. 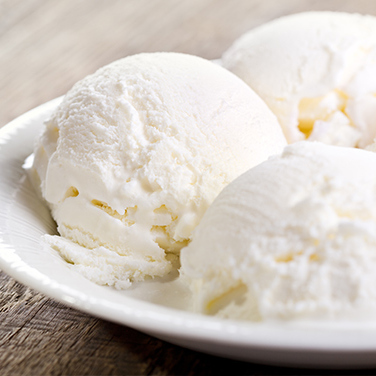 Pour 6 — 12 ounces of ice cream base in frozen Half-Pint Freezer bowl. 3. Remove lid and paddle and add 3 tablespoons of your favorite add-in (optional). 4. Replace lid and restart motor.